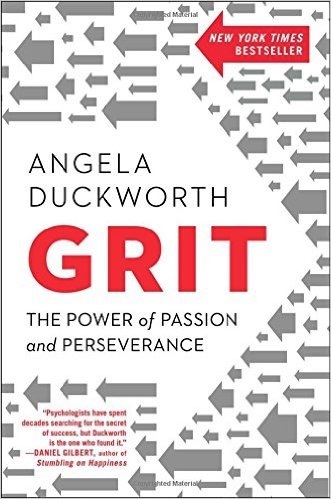 Grit: The Power of Passion and Perseverance by Angela Duckworth shares her research and the work of others on the subject and explains that what we eventually accomplish depends more on our passion and perseverance than on our innate talent. This work can help you find your own passion and develop it. 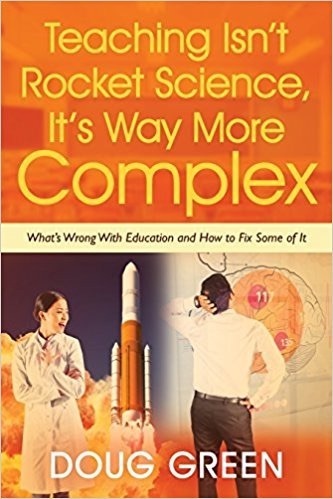 This is a vital book for parents, teachers, and human beings in general. Make sure your school library has at least one copy for starters. Angela starts with the story of her visits to West Point’s summer session for incoming freshman known affectionately as Beast Barracks. Due to the high dropout rate of plebs, the question was: what qualities are the best predictors of who makes it and who goes home early? The only metric the Army had was the Whole Candidate Score. It combined SAT/ACT scores, class rank, an expert appraisal of leadership potential, and performance on objective measures of physical fitness. The problem was that this score had no predictive value when it came to surviving the first summer or the full four-year program. What candidates needed it seems, was a never give up attitude, which had nothing to do with ability. When Duckworth heard this she decided to create an instrument to measure it. She then created the Grit Scale, which is included on page 55. She found that it was a good predictor for West Point. It also turned out to be a good predictor for other accomplishments such and earning college degrees. She found that there was no relationship between IQ and grit. As a teacher early in her career Duckworth discovered that talent for math was different from excelling in math. She also found that her weakest students sounded smart when talking about things that interested them. She found that Americans endorse hard work five times more than intelligence. However, teachers are more likely to lavish attention on students they think are talented. Another problem is associated with tests for talent, which like tests for grit are imperfect. After being chided by her advisor while working on her PhD in psychology, Duckworth came up with two equations. Talent x Effort = Skill, and Skill x Effort = Achievement. Note that effort is included in both equations. While this theory does have a place for natural ability, it shows how effort is more important. This chapter gives examples of famous people who felt they succeeded thanks to their compulsive effort. In addition to talent and effort, there is also a place for opportunities and luck on the road to success. Encouraging parents with money are a prime example of opportunities. This entry was posted on Monday, August 7th, 2017 at 8:36 am	and is filed under Book Summaries, Business Books, Education Books, Leadership Books. You can follow any responses to this entry through the RSS 2.0 feed. You can leave a response, or trackback from your own site.